One may laugh at the comparison between the Western and the superhero genre, but they both share some interesting qualities. Often dismissed as shallow, action-oriented fare, both are rooted in mythology and indigenous to the U.S. The Western was, at its height, the most popular movie genre playing in theaters, just like comic-based films are today, Both have been derided as immature, sexist, jingoistic celebrations of a brooding American loner ideal. But more and more, superhero properties are subverting the narrative to criticize the current state of America, i.e. the Captain America film series and its take on government corruption, the Marvel Netflix series and their examination of the class struggles faced by street-level heroes who fight the slum lords and drug dealers virtually ignored by their superstar brethren. Logan is particularly timely in offering us a new hope for the nearly extinct mutant race in the tiny frame of a Mexican child with some startling similarities to Hugh Jackman's beloved Wolverine. 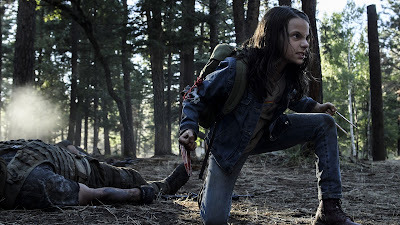 Director James Mangold's introduction of this tiny undocumented immigrant—Laura (Dafne Keen) to the senile Charles Xavier (Patrick Stewart) and the dehumanized X-23 to her pursuers—points to a new generation of multi-cultural mutants set to lead the franchise as Jackman relinquishes the role most identified with the actor. 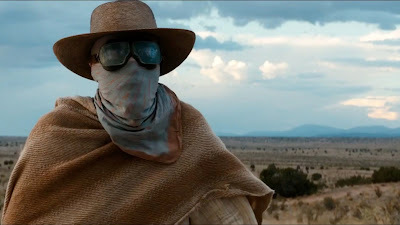 The film itself goes out of its way to solidify its obvious derivation from Westerns like Shane, not a huge leap from the last entry The Wolverine's homage to samurai films. But this is a road movie, in which the aged loner drives his aging father figure and a feral kid relentlessly towards a mythical mutant safe haven while pursued by a band of cybernetic gear-heads led by one Donald Pierce (Boyd Holbrook) and geneticist Zander Rice (Richard E. Grant). Intimations of The Road Warrior are not difficult to see. In his ninth appearance as Logan, what could potentially be the character's swan song, Jackman takes advantage of every minute of the film to offer the most nuanced portrayal of the character yet. Dressed in an iconic black suit, his Logan is now slowly dying, his blood poisoned by the super-strong adamantium lacing his skeleton. He heals a bit slower now and with more conscious effort on his part, evidenced early on by how taxing he finds it to push out the metal remnants from his bullet-riddled torso. Some scars have never healed, and he maintains a constant drunken stupor even as he makes ends meet as a zombified limo driver. 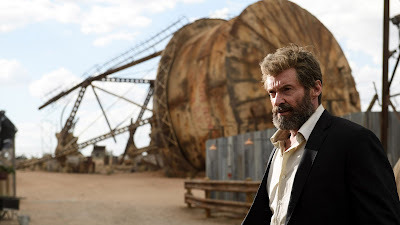 Logan spends a lot of his money and time caring for Charles, housing the professor in a large, abandoned water tank in the Mexican desert and supplying him with drugs to protect the world from his unpredictable psionic seizures. Charles' degenerative mental affliction is a dangerous disease for a telepath and hinted at being the cause of the near extinction of the pair's fellow mutants. 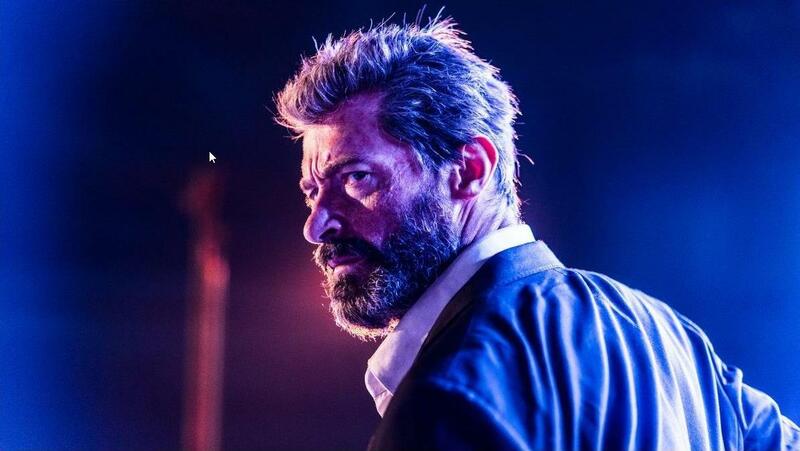 Jackman has come a long way from his first appearance as Logan in 2000's X-Men. Young and more than a little cocky, his wisecracking Wolverine then was not altogether different from any typical macho lead of the time, albeit representing the LGBTQ community in the thinly veiled parable about outcast mutants. 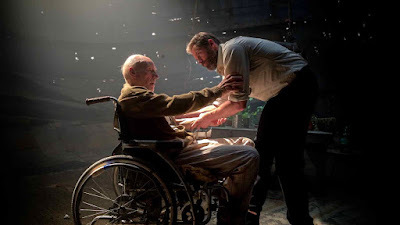 It is telling that just as perception of widespread acceptance of the queer community has also increased, the mutants have become widely accepted, even celebrated, by their human cousins in recent X-Men movies. Now, the franchise's allegory shifts towards our sisters and brothers just south of the border, and it is time for the aged Logan and Charles to shuffle off and make room for Laura to take center stage. 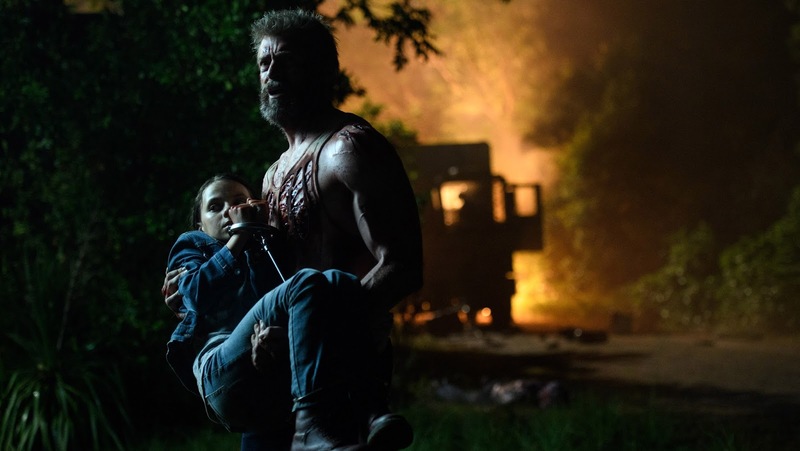 The introduction of a vibrant young girl into the lives of the surrogate father and son brings clarity and urgency to Logan and Charles' decrepit existence, and fresh blood to a franchise starting to wane. 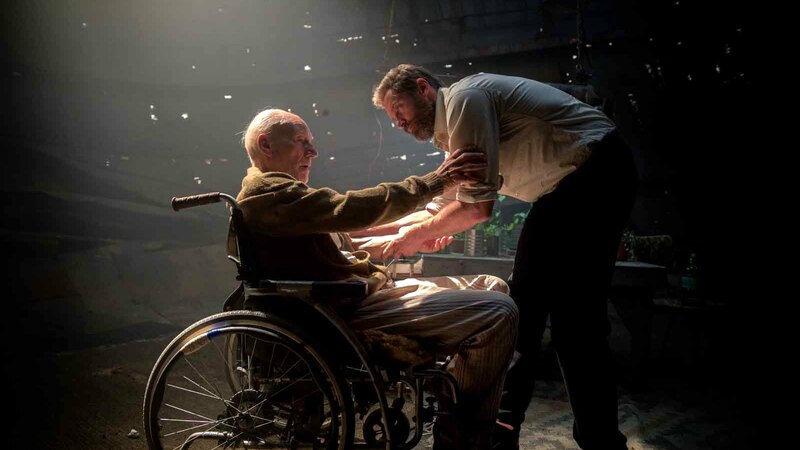 It will be interesting to see if the mutant franchise does fulfill its promise to adjust its political parallels to the timely subject of the untapped gifts offered by undocumented immigrants. Until then, enjoy the rare sight of a pair of veteran actors successfully given graceful codas as their iconic alter egos. Logan opens Friday, March 3.